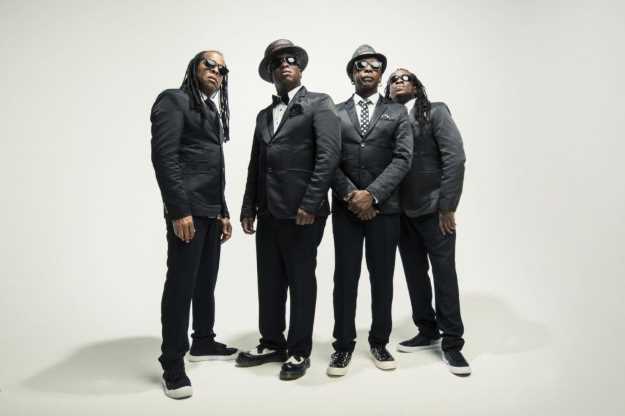 Wednesday night marked the third time in just five years that funk-metal legends Living Colour have played in Melbourne. Judging by their blistering two-hour gig, it's understandable why the love between the band and Australia is very much mutual. The New York quartet reminded everyone at their sold-out show at 170 Russell that they are still one of the most entertaining live acts going around; and they, in turn, were reminded of how highly they are regarded in this city, with the captivated audience responding to each song with enthusiasm and fervour. The show marked the 30th anniversary of the band's critically acclaimed debut album Vivid, and all but one song from that record ended up getting played. It was a night of nostalgia, with the set list focusing heavily on their first three albums. In fact, only one song from their last three LPs got a run - Come On, from last year's Shade. They played with such breathtaking power and energy that fans could have been forgiven for thinking they were attending one of their gigs from the late 1980s. It's hard to believe they are all now aged in their 50s and 60s. The crowd was eating out of the palm of the band's hand as they were treated to an explosion of sounds ranging from heavy metal, funk and jazz to hip-hop, punk and hard rock. Lead singer Corey Glover proved once again that he still has one of rock's most versatile and powerful voices as he reached both the high notes and low notes without fuss. Perhaps the highlight of his performance was during Open Letter (To a Landlord), as he adopted the role of gospel church choir leader, dressed in a grey pin-stripe suit jacket, shirt, tie and designer broad-brimmed hat. Vernon Reid told the crowd they didn't need to go to church on the weekend, having just received their dose of spiritual healing for the week. The strain Glover put on his vocal chords in that number in particular would've blown out the pipes of a fair proportion of singers, but he proceeded to tear easily through another 12 tracks with his trademark swagger and attitude. Reid displayed why he is regarded as one of funk-metal's founding fathers as he ripped through some of the genre's most iconic riffs and solos, leaving fans mesmerised by his incredible guitarmanship. It's easy to see why Rage Against The Machine's Tom Morello cites him as such a big influence. No band is complete without its rhythm section, and bassist Doug Wimbish and drummer Will Calhoun provided the backbone of the show. Wimbish's bass playing was as funky as it was thunderous, while Calhoun was an absolute beast on the drums, dominating the skins with power, ferocity and precision. A midnight curfew threatened to cut the show short, but the fellas returned to the stage for an encore performance of The Clash's classic Should I Stay Or Should I Go. If it were up to their adoring fans, the answer would've been a resounding "stay".